If you have a subroutine, you can program the main algorithm and any subroutines in one program file. In this method, a single subroutine can be executed up to 36 times. The programming language for Casio allows up to 37 labels: 0 through 9, A through Z, and θ. 1. Know how many times the subroutine is to be executed. This is the key. 2. We will need to set aside a variable to keep count. 3. Use a label for the subroutine portion of the program. The subroutine will be kept at the bottom of the program file. 4. Each time the subroutine is executed, increase the counter by 1 and execute a jump test by using ⇒. 5. Finish the main portion of the program with the Stop command. You can make this a simple or complex as you want. Below are two sample programs, LOOP1 and LOOP2 that illustrate this technique. The programs listed here are text files generated from the Casio fx-CG50. You can generate text files by selecting a program from the Program List ([MENU] [ log ] (B)), then pressing [ F6 ] ( > ), [ F3 ] (SAVE.AS). Now for a more detailed example. LOOP2: This program splits two positive integers of equal length (example: 4326 and 1821, both have four digits each). Carry over is included and the result is returned in a list of digits. Have fun and happy upcoming December! The decimal gets rounded to the nearest even integer. For example: 0.5, 2.5, and 4.5 round down to 0, 2, and 4 respectively. However, 1.5, 3.5, and 5.5 are rounded up to 2, 4, and 6 respectively. Note: Use two-digit addresses for the regular HP 12C. Memory addresses needed: registers 0 through 4. I am grateful to all of you readers, for all the comments, compliments, questions, and for reading my blog and getting enjoyment out of it. This blog is one of my joys in life and I am grateful that I can share this with you (for over seven years, wow!)! where m₀, m₁, m₂, etc are all relatively prime. Two integers are relatively prime when both integers have a GCD (greatest common divisor) is 1.
where the solution is x mod s*u. To solve the Chinese Remainder Theorem, use the function inchinrem. Home/Programming Mode Syntax: CAS.inchinrem([r, s], [t, u]). The answer returned is x mod s*u in vector form [x, s*u]. Disp "CHINESE REMAINDER","X=R MOD S","X=T MOD U"
The program POW2SUM expresses a positive integer as a sum of powers of 2. The program generates a list of terms. Note: The list includes a 0 (due to programming limitations on the TI-84 Plus). The input is x and y, with output a and b. The following conditions are implied: x > y and x > 0.
to an expression that involves only one trigonometric function. Refer to the triangle diagram below and it will should become clear why it is desirable to multiply by √(a^2 + b^2)/√(a^2 + b^2). 1. The angle θ dependents on what quadrant the point (a,b) is. 2. Taking into consideration of where the point (a,b) is and the expression √(a^2 + b^2), the task of finding the coefficients of reduced formula for a * sin x + b* cos x can be achieved by calculating a rectangular to polar conversion of the point (a,b). Or use an approximation formula. Where r is a remainder. This method involves successive division. 1. Set n = 2 (since 1! = 1) and set t = x. The variable t will be working copy of x. 4. If t is less than or greater than n, repeat steps 2 and 3. 5. If t = n, then x = n!. Done. 6. If t ≠ 1, then do the following. Set n = n - 1 and r = x - n!. The answer is x = n! + r.
Example 1: 120 = n! Since 5 = 5, 120 = 5! Example 2: 177 = n! Disp "X = N! + R"
Most scientific calculators, mathematical programs, and spreadsheet programs will have random number generators that will generate numbers at random. The most common generator is a one that produces numbers between 0 and 1. Additional random functions will also allow the user to generate random integers and random numbers that fit the normal distribution. The program RNGTEST tests the period of a pseudo random number generator, given a seed. The period of a pseudo random number generator at a given seed is how many iterations it takes for the generator to return to it's initial (first) random number. For example, if a generator's first random number is 0.1 and it takes 20 iterations for the generator to reach 0.1 again, then the period is 20. The program sets an arbitrary maximum limit, set in the code of 50,000. If the count reaches this limit, then the period of the generator is at least this maximum, possibly infinity. You may change this limit as wished. 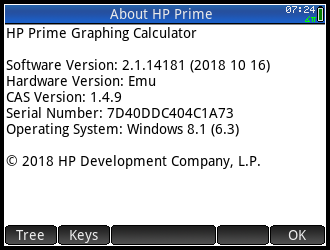 Thankfully the HP Prime's processor is fast, so the calculator can handle many interactions quickly. Older calculators will require more time. Note: In the rngf(x) subroutine, you can insert any pseudo random number generator you want. I had set up the program to test a simple PRNG x_n+1 = frac(997 * x_n). The seed 0.1 generates 0.1, 0.7, 0.9, 0.3, and then repeats. The seed 0.2 generates 0.2, 0.4, 0.8, 0.6, and then repeats. The seed 0.3 generates 0.3, 0.1, 0.7, 0.9, and then repeats. The seed 0.4 generates 0.4, 0.8, 0.6, 0.2 and then repeats. The seed 0.5 generates 0.5 and only 0.5. For two decimal point seeds 0.01 to 0.99 (leaving out 0.10, 0.20, etc), from an random sample, you either get a period of 20, or if the seed ends in 5, a period of 4. For three decimal points seeds 0.001 to 0.999 (leaving out 0.100, 0.110, etc), from a random sample, you either get a period of 100, or if the seed ends in 5, a period of 20. 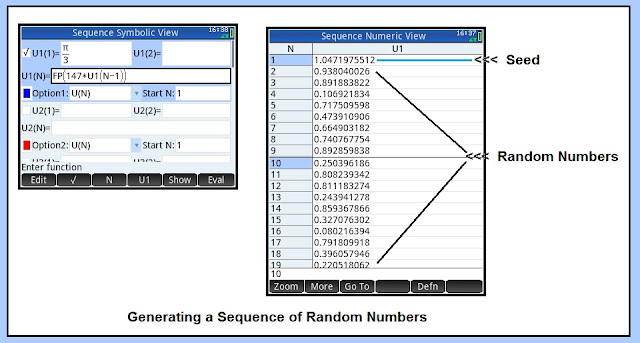 For simple PRNGs, you are going to a seed with many decimal places to be able to generate different random numbers. Shammas, Namir "New Pseudo Random Number Generators: Part 1" 2015. http://www.namirshammas.com/NEW/prng1.pdf Retrieved October 28, 2018. √(x + y) and √(x - y) where x and/or y is a radical. Let's assume that x > y and only principal roots are calculated. We're looking into a neat process that is used in computer algebra systems. 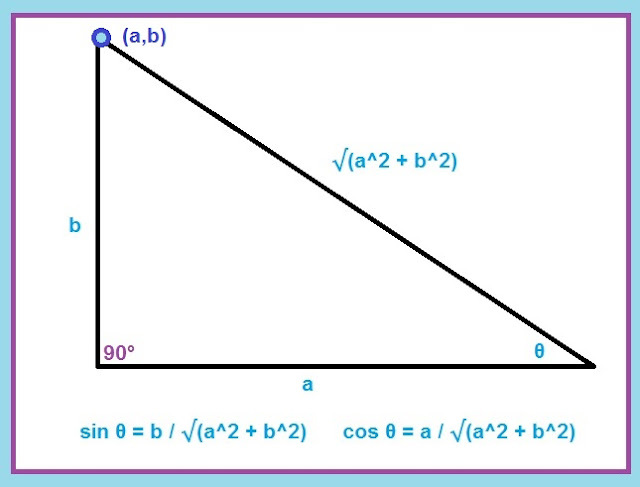 We want to obtain the following and determine a and b. * New function UVAL and UPART. UVAL extracts the value from a unit object (example: 10 from 10_m) while UPART extracts the unit part (example 1_m from 10_m). * The DMS key [Shift] (° ' '' ) now will work everywhere. * The fraction part (FP) and integer part (IP) functions will work with unit objects. * Large matrices, strings, and other objects will now be displayed with an ellipsis (...). To see the full object, scroll up, select the big expression and press on the soft key (Show). Hi everyone, I am Edward Shore, author of Eddie's Math and Calculator Blog, and I am joining Derek Theler on the JDRF walk at the Rose Bowl. The walk is to raise funds for research to find a cure for type 1 diabetes. The walk will be on November 4, check in at 8:00 AM starting at 10. The walk is 5 kilometers which is approximately 3.11 miles. Hope to see you on Sunday and thank you for your support.